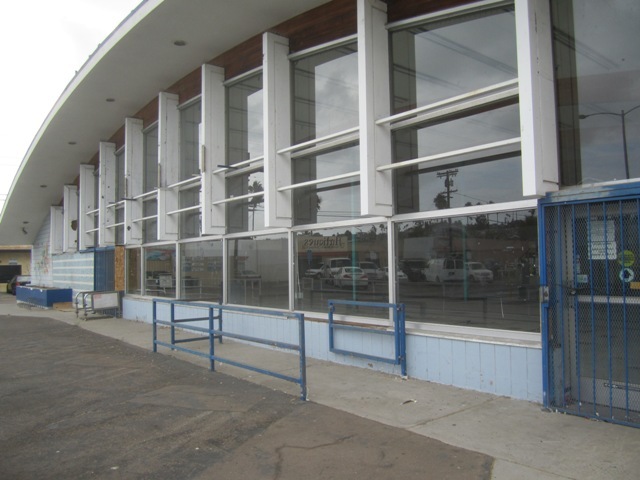 Front of former Apple Tree market; it also is a former Safe-Way and former Vons. Now, CVS Pharmacy will be moving in. Looks like the Ocean Beach Planning Board has a full agenda for their monthly meeting tonight, Wed., Dec. 4th. 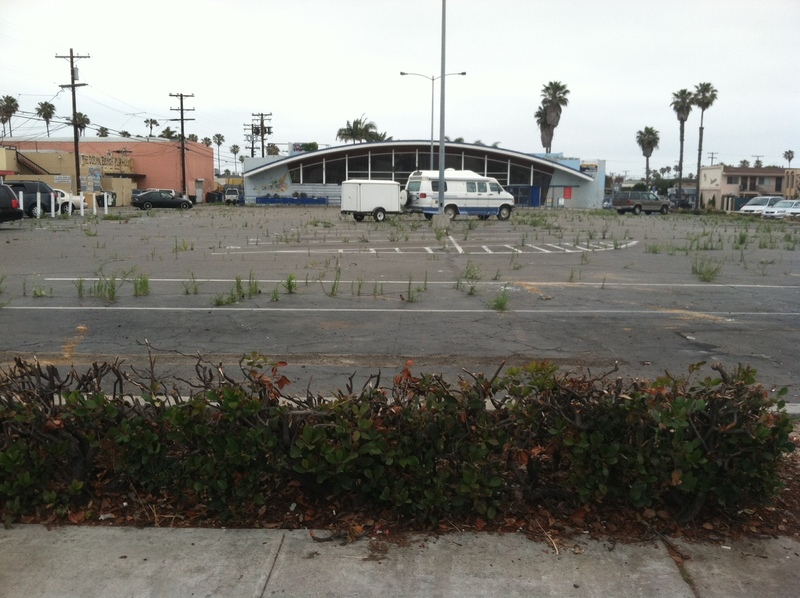 The Board meets at 6pm sharp inside the OB Recreation Center at Santa Monica and Ebers. Two big ticket items are the OB Community Plan Update and CVS Pharmacy’s alcohol permit. Also included are applications for demolitions of 2 single family houses on the 4700 block of Del Mar Avenue and additions to two buildings on Castelar Street. The Board will also be doing some housekeeping for their upcoming annual election in March of next year. Unless the glaciers melt tonight, the Board is expected to approve the OB Community Plan Update Draft along with any inclusions from feedback the Board heard at the Town Hall meeting they held on Nov. 13th as well as other criticisms given since the Update was made available to the public earlier this year. Approval tonight will allow the long-anticipated re-write of the community plan to move on its way to the Historical Resources Board, the Planning Commission, the City Council and finally to the California Coastal Commission. last on the list is the California Coastal Commission. Also on the agenda is CVS Pharmacy’s return before the full Board on their application for a license for the sale of beer, wine and other liquor for off-premise consumption. CVS is expected to be moving into the former Apple Tree Market at 4949 Santa Monica Ave.
At the Nov. 7th meeting of the Board, CVS was asked to return with more information about their alcohol permit. (The OB Rag originally reported that CVS was ordered to return in 90 days.) Since that meeting, CVS and representatives of the OB Town Council and the OB Mainstreet Association have been negotiating a “Community Benefits Package”. Members of both those organizations are hoping that the corporate entity will agree to the list of items in the package. Hopefully, tonight CVS will reveal its position. There are two other action items on interest – both concern private residential developments. 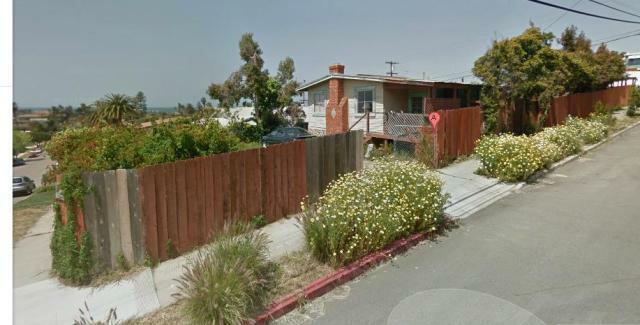 On deck is an application for the demolitions of 2 single family houses at 4706 Del Mar and the construction of 2 tw0-story homes in their stead. The new houses would be 2836 and 2117 square feet. The Project Review Board made an unanimous recommendation to approve the project. 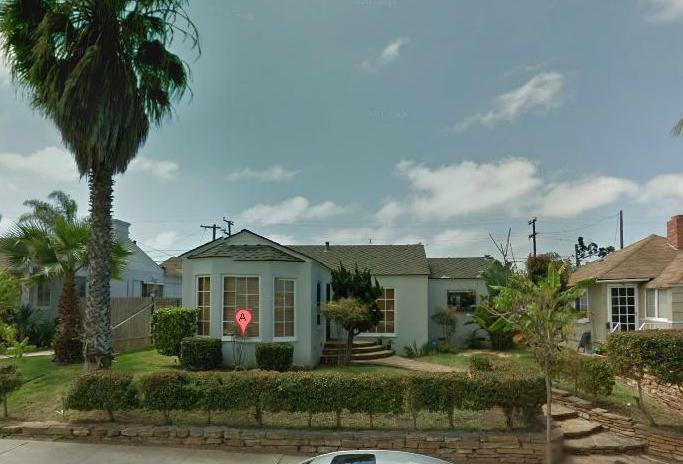 Also up on the agenda are additions to buildings at 4655 Castelar Street. The applicants want to add 314 sq feet to an existing 1760 square foot home, and to add a second-story studio measuring 399 square feet. This project also was given the green light by the Project Review Committee. I hope somebody goes to this meeting – I can’t as I’m laid up with a bicycling owie. I don’t know how much more that residents can express that we do not want CVS there… Everyone wants a grocery store. I moved to OB so I could walk to everything… I can’t walk to buy groceries. I CAN walk to buy booze, and candy already, in multiple directions. Trader Joe’s, or Sprouts would be perfect.